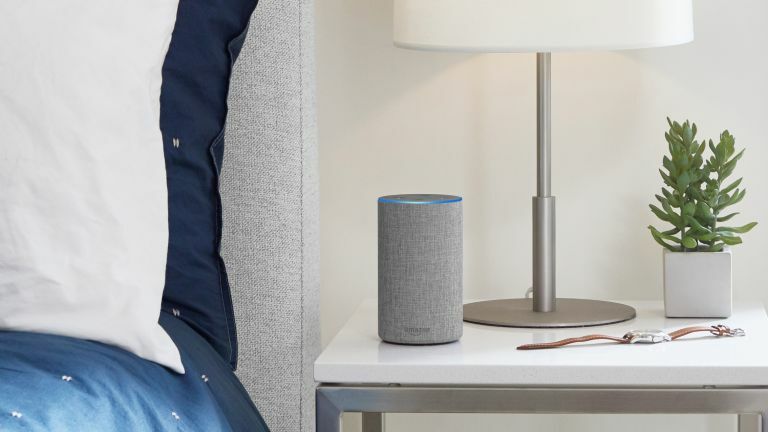 If you've ever dreamed of commanding your very own robot with just your voice, Amazon's Echo is here to offer you exactly that. Now you don't even need to pay the £90 charge for the smart speaker as it's being given away for free with BT broadband deals, hot off the heels of winning the best Smart Home category at the T3 Awards! If you sign-up to a high-speed fibre broadband deal from BT, you not only get given a free Amazon Echo but also a prepaid Mastercard, which BT calls its Reward Card. There are two levels of card amount depending on which deal you pick. The first, simply called Superfast, gives you a 50Mb (about 6MB per second) fibre line for £31.99 per month which includes £80 on that prepaid Mastercard. The other option, Superfast 2, pushes the speed up to 67Mb (about 8MB per second) for £41.99 but includes a £100 credit on that pre-paid Mastercard. So what's the catch? You'll need to decide fast as this is a limited time offer that ends on Thursday October 4. Also you'll need to be sure to claim that Reward Card within three months of installation to get the free cash.